This week, we're bringing you the winning runs and rides of RFD-TV's The American in epic slow-motion so you can see every moment of their victory in detail. For our penultimate video in this series, we're featuring the cowgirl who won the event for the second time. 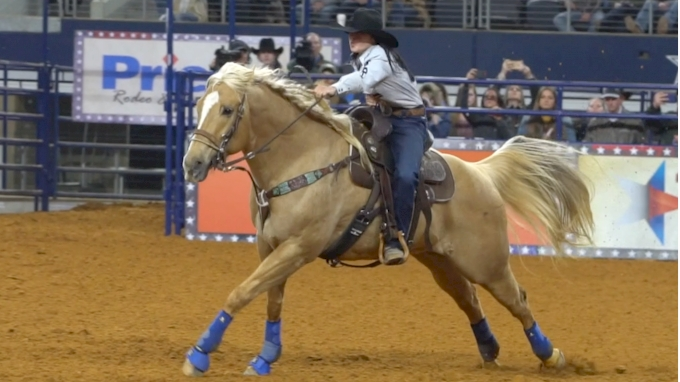 Hailey Kinsel, the reigning world champion barrel racer, clinched her second title at The American with this 14.217-second run—and yes, that third barrel stayed up. S*** Sundell Says: What Will Wade Say Next? Can Taci Bettis Relive Her American-Winning Runs In 2019?